Private First Class James William Davis was born on March 24, 1947 in Erie, Pennsylvannia to Mr. and Mrs. William A. and Gretchen Raub Davis. James grew up in Belleville, Michigan, but lived in Ypsilanti. He is a 1965 graduate of Belleville High School where he lettered in football and swimming. James attended Michigan State University and Cleary College. James was employed as a customer agent for Trans World Airlines at the Detroit Metropolitan Airport in Wayne, Michigan prior to his to entering the Marine Corps on December 13, 1968. 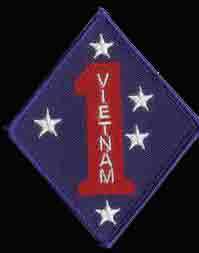 Private First Class Davis began his tour of duty in An Hoa, Quang Nam Province, South Vietnam on July 7, 1969 serving as a rifleman with I Company, 3rd Battalion, 5th Marines, 1st Marine Division. James was killed on August 13, 1969 as a result of small arms fire just one month and six days into his tour of duty "In-Country". James William Davis is survived by his wife, an 11 month old son, his parents, and two brothers. He lived 22 years, 4 months and 10 days. He is resting in Washtenong Memorial Park in Ann Arbor, Michigan. James' name is listed on the Vietnam Memorial in Ypsilanti Township under Ypsilanti. His name also appears on the Vietnam Memorial in Washington, DC on Panel 19W Line 029.